These are REAL PPO (Nationwide Coverage) Health Insurance plans. UnitedHealthcare Golden Rule Short Term Plan. We will focus on the plan we are featuring called the Plus Elite A plan. To review, follow along with us, starting on page 4 of brochure, right column. WHAT THE PLAN COVERS: PPO Nationwide Coverage, up to $2,000,000 per term. AGE: Can be on a family plan up to age 19, on their 19th birthday, they must get their own plan. Being a Student does not change this. Up to age 64 and 11 months. NETWORK: Nationwide PPO Coverage. “Choice” network, no Out-of-Network Benefits. Must use network providers. AMBULANCE: No Air Ambulance coverage, but ground ambulance yes. Out of Country – NONE. PREVENTATIVE: Screening mamo’s are covered, NO coverage for pap smears, PSA testing is covered, HPV shots are covered, Contraceptive coverage, NO Child Immunizations, NO Physicals are covered. RX: Preferred price card. Discounted Rx. Customer Pays for Rx at point of sale at the lowest price, then the customer submits a “claim form”. Claim form call 800 657 8205. Fill it out, submit it to the claims division that is on the form, the claim at that point becomes considered, then that amount comes off the deductible. The money paid for the prescription gets applied to the deductible medical deductible. Once hit deductible is met, $3000 is the max benefit paid out after medical deductible has been paid. Below are 3 packages available for your consideration. Please note that these are plans we are “Featuring”. We have gone to great lengths to make certain our “Featured” PPO plans provide some of the health insurance industries finest QUALITY products we have found, and can stand behind. All of the packages below have very reliable health insurance coverage with United Healthcare PPO (their “Choice” network), and has nationwide coverage. These PPO plans are available to start today, or January 1st, whichever start date you wish. You will go through an underwriting process, which means these plans work best for those individuals and families that don’t have pre-existing conditions such as: currently pregnant, blood disorders, liver or kidney or heart disorders, COPD, diabetes, cancer, MS, Crohn’s, ulcerative colitis, drug or alcohol abuse/treatment, others. If you feel like you are relatively healthy, the packages below could work very well for you. If you do have serious pre-existing conditions that you need covered, we recommend you speak with our agents and possibly stay with an ACA (Obamacare) health insurance plan. Call us for details. Are These Low Cost Health Insurance Plans Right For You? You will go through an underwriting process, which means these health insurance plans will look at your “pre-existing conditions”. These plans work best for those individuals and families that don’t have pre-existing conditions such as: currently pregnant, blood disorders, liver, kidney or heart disorders, COPD, diabetes, cancer, MS, Crohn’s, ulcerative colitis, drug or alcohol abuse/treatment, others. ♦ If you feel like you are relatively healthy, the packages above could work very well for you. ♦ If you have pre-existing conditions that you need covered by insurance, we recommend you stay with a “Qualified Health Plan” (ACA / Obamacare) health insurance plan. CLICK HERE if you want a plan that covers pre-existing conditions. Then choose the “Subsidy“ or “No Subsidy“ buttons. ♦ Health ProtectorGuard Choice Plus – pays you $2,000 each day you spend in the hospital with an overnight stay for sickness, $2,500 each day with an overnight stay for injuries, $4,000 per day for ICU, $200 for ER, $500 ambulance, $500-$10,000 for surgery (amount paid depends on the seriousness of the surgery), $100 for 2 ill visits to see a doctor, $200 for x-rays, $500 for MRI, $20 generic and $40 for brand medication (x 12 prescriptions), and more! You decide how to spend the money. Pay your deductible/co-insurance, or spend how you wish. Benefits “stack”. 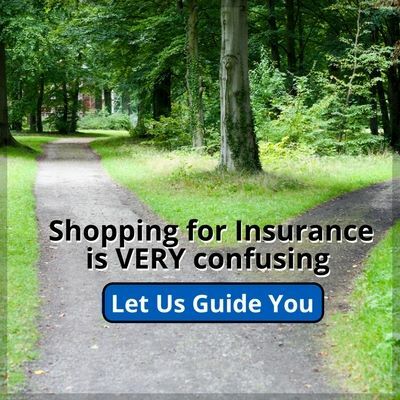 ♦ Accident ProGuard – pays you up to $5,000 after a $250 deductible for accidents. This plan will also pay you $50,000 if you are diagnosed with a “Critical Illness” like stroke, heart attack, cancer, coma, organ failure, 3rd degree burns, brain tumor, etc. ♦ Short Term Medical Value Select A – Nationwide PPO Insurance Plan uses the United Healthcare “Choice” Network. It is a 6 month policy. You will 1st pay the $5,000 deductible, (you’ll pay the discounted “negotiated” price before the deductible 🙂 ), then after the deductible you’ll pay 30% of the co-insurance up to $5,000. Making the out of pocket maximum $10,000. The plan covers up to $2,000,000. The deductible can be adjusted from $2,500 up to $12,500 if you’d like. ♦ Hospital SafeGuard Plan B – pays you $2,000 each day you spend in the hospital with an overnight stay. You decide how to spend the money, paying your $5,000 deductible or spend how you wish. ♦ Accident ProGuard – pays you up to $5,000 after $250 deductible for accidents. Also will pay you $50,000 if you are diagnosed with a “Critical Illness” like stroke, heart attack, cancer, coma, organ failure, 3rd degree burns, brain tumor, etc. ♦ Short Term Medical Value Select A – Nationwide PPO Insurance Plan uses the United Healthcare “Choice” Network. It is a 6 month policy. You will 1st pay the $5,000 deductible (you’ll pay the discounted “negotiated” price before the deductible 🙂 ), then after the deductible, you’ll pay 30% of the co-insurance up to $5,000. Making the out of pocket maximum $10,000. The plan covers up to $2,000,000. The deductible can be adjusted from $2,500 up to $12,500 if you’d like. The above packages do NOT cover pre-existing conditions (any medical condition you’ve seen a doctor for in the previous 2 years. They do not cover wellness visits like physicals, female exams, childrens immunizations, etc. Prescriptions are covered at a discount. These are abbreviated explanations of how the plans work. Please read the explanation of benefits before deciding what plan to take. 1). Dental and Vision are available on all packages. 2). We can mix and match any of the above plans if you are interested. We can also change deductibles. 3). We also have term and whole life insurance. If you don’t have life insurance, please ask for a quote and we’ll add it to your package. 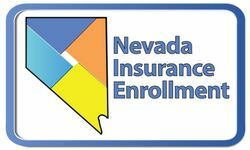 Many Nevadan’s have insurance on their cell phones, but don’t have life insurance on themselves. If they tragically didn’t come home to their families tonight, many would leave behind nothing to provide safety and stability for their loved ones. A life insurance policy is designed to remedy this. Ask us for a quote to be added to your package.